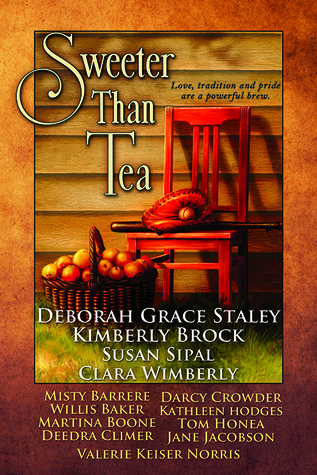 I'm very happy, and lucky, to be among the authors selected for SWEETER THAN TEA from Belle Books. What makes being part of this book especially wonderful for me is that I have long been a fan of Deb Dixon's GMC (Goal, Motivation, Conflict) writing principles, so to be published by her is even more awesome. And living in Virginia with a hubby from North Carolina, sweet tea is definitely part of our household routine. I could also go on ad nauseum about my love for Southern literature, but I'll stop here. Instead, I'll point you to some related guest posts this week and then give you a list of great writing tips that the authors of SWEETER THAN TEA have gotten together to share with you. These are the tips that they believe most improved their own writing. Unfortunately, this means there will be no IN STORES NEXT WEEK. However, we still have a giveaway. I've got two copies of the print version of SWEETER THAN TEA that will go out when the hardcopy is available. I hope you like warm, Southern stories, great settings, and quirky characters as much as I do. When it comes to family, love, tradition and pride are a powerful brew . . .The third of the Sweet Tea story collections (SWEET TEA & JESUS SHOES, MORE SWEET TEA) treats readers to a panorama of Southern life, both then and now. Family dramas, comic mishaps, sentimental remembrances and poignant choices illuminate these thirteen stories by new and established authors. 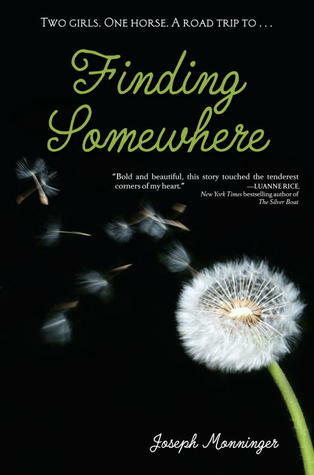 There’s something for every reader: The gritty realism of a hunt for wild boars, the gentle grieving for a home now filled only with memories, the funny battle between a woman and her recipe for deviled eggs, and much more.Come sit a spell on the front porch. Prop your feet up, sip a cold glass of sweet iced tea, and lose yourself in a way of life that’s as irresistible as pecan pie and as unforgettable as a chilled slice of watermelon on a hot summer day. Welcome to a place that exists between the pages of How It Was and How It Might Have Been—just a little bit south of the long path home. Please complete the form at the end of the post by midnight on 6/21/12 to enter. We'll announce two winners on 7/6/12. Sorry, U.S. and Canadian entries only. Polishing your manuscript by making every word work for you. "My sister gave me my first best piece of advice when I first started writing. She said find a local writing group and join it. I did, and learned SO much. There I heard a lot about craft, but probably the most important insight I gained was how to write in deep POV. It makes a tremendous difference in breathing life into your characters and giving them voice." "Trust the process. No writer’s process is the same just like no two books are the same. There’s no use rushing it. I have to force myself to relax in the bog of my imagination until something floats to the top that I can latch on to. And all that time, I have to know that I’m going to come full circle, and hope I’m eventually going to be smart enough to write the book of my dreams, because when I’m writing I always know I’m not smart enough. I have to let the book teach me something first. But many authors came alongside me over the years and these are the things that I held onto from their bits of advice: 1) Trust the process 2) Expect it to make you crazy 3) Emerge with the wisdom of your heart as the power in your story." "Two things, sorry I can't just pick one! First, Debra Dixon's Goal Motivation and Conflict changed my writing. After doing her workshop and applying it to my writing, I began to final in every contest I entered. Soon after, I got an offer of publication for my first book. And now, I'm multi-published by Deb Dixon's publishing company. Talk about going full circle! But even writing an great book sometimes is not enough to see your publishing dreams come true. This is my advice to anyone who may be discouraged with the process. Persistence is the necessary ingredient. Never give up. I'm convinced of the "Last Man Standing" principle. If you keep at it, you'll get better, and eventually, someone will give you a break." "I am writing like a fiend right now... on an island where there are no cars and you have to take a boat to get here. So my tip would be: sometimes you simply have to get away from the madness. Even if you've brought your three children, your in laws, your old maid aunt and half- deaf 87-year-old grandmother with you, you have to try. ;)"
"The best advice I ever got was "write what you know and write what your heart tells you." My short story, Lessons on a Paper Napkin, was inspired by a true event. It was something that stayed with me for over 30 years (I'm giving away my age there!). I always knew I had to tell that story and BelleBooks gave me the chance with Sweeter Than Tea." "The most helpful writing advice was not to stop. I have many friends from the past, from school, writer's groups, etc., who have great talent and promise. They quit, and I didn't. It may be that real writers don't quit, or can't, but it may just be that the stubborn ones eventually get published. My husband would agree with the stubborn part, anyway." "I do my best writing at the kitchen island top, in the evening, with Big Band / Swing music on the XM Radio, on a computer that IS NOT connected to the internet. Having said that: I always read what i have written out-loud, or better yet, get somebody to read it back to me, especially dialogue. I can tell right away if it is stilted or if it flows naturally ... I'm really big on playing out scenes in my head, even holding both end of a conversation between characters, listening to the interaction much as one would listen to a tape recording. Elmore Leonard is my "hero" writer. Not that my writing is like his, but I like his rules. Look him up on the NY Times series, Writers on Writing. Also Hemingway once said, "always stop today's effort while you still know what is going to happen next ... between now and the next time you sit down, pencil in hand, your head works on it." "Since I collect so much great advice from all of our WOW Wednesday authors and the authors we interview here at Adventures in YA Publishing, I have four tips I'd like to share. "The first is to dig deep into your characters, and then dig even deeper. This is something I am still struggling with, because plot comes easy to me. Plot is logical. Characters aren't. But you can't get deep characters out of plot. You can get deep, unique plots out of characters. So when you think you know everything there is to know about your characters, go find out more. "Second, when you know everything about your characters, let it go and let them be. Let the evolve and change, but help readers keep them straight by giving each character something unique and identifiable to hook onto. "Third, separate the story from the words. Putting words together well can blind you to the structure and heart of the story the words are covering up. Especially if you write well naturally, do a rough, rough draft and then work on structure. Don't waste time polishing the sentences in scenes you will eventually have to throw away or change completely. "Fourth, don't get discouraged with things don't happen right away. There is only so much you can control in publishing. Write the best book (or story) you can write at this moment, then go on and write something else. The book will either sell now or it won't, but it doesn't disappear. It is still in your drawer to change or sell when you are more established (or better at editing)." "There are so many bits of advice out there, but the one that really resonates the most with me is to WRITE EVERYDAY. If you absolutely can’t put new words on the page, at least spend time with your story in some other way – but get it out, open the file and move forward! Don’t just play and change things around, move forward. " Hang in there are don't give up! I love reading all the tips from everybody, and thanks so much, Martina, for putting this together! The anthology title sounds delicious and the stories within quite inviting in that Southern hospitality way. Wow. There's so much in this post! Thank you! Wow, lots of good info!